The Atmos RX Aegis kit comes to the vaping market with an advanced convection heating method and temperature control system. You can adjust temperature between 320°F and 430°F. The Atmos RX Aegis kit comes to the vaping market with an advanced convection heating method and temperature control system. You can adjust temperature between 320°F and 430°F. 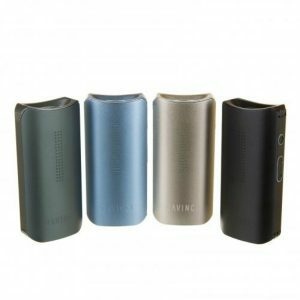 To please you with pure and flavorful vapor, the vaporizes is developed with a hard anodized chamber and features an isolated airflow design and unique filtration system. By the way, it gets power from a 1650mAh capacity Li-ion battery. The LED screen allows checking the essential information about your vaping. The current temperature and the remaining battery life. 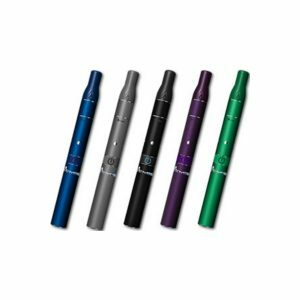 What is more, the RX Aegis kit boasts an easy access mouthpiece. It ensures fast and simple refills. Alongside with impressive functionality, the Atmos RX Aegis dry herb vaporizer looks extremely stylish. 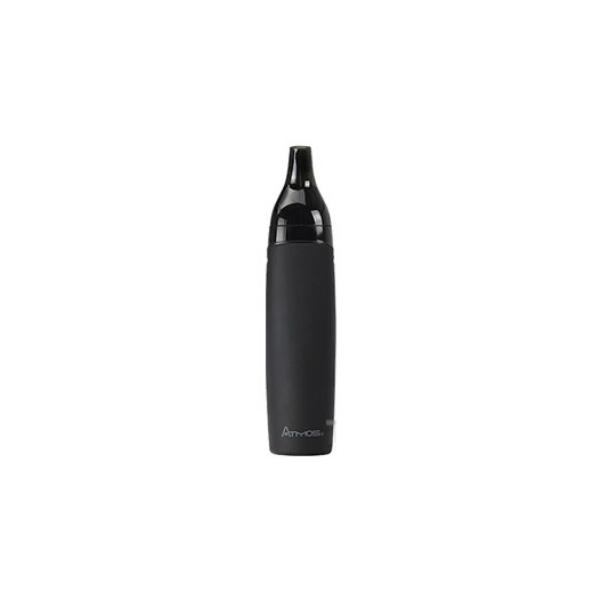 It has a rubberized black finish and an elegant pleasant to hold shape. Moreover, it is designed with portability in mind. Thanks to the compact size, you can take the Atmos RX Aegis wherever you want. 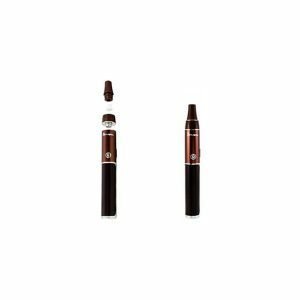 Enjoy the pure and flavorful vaping experience, which combines with the ease of use.